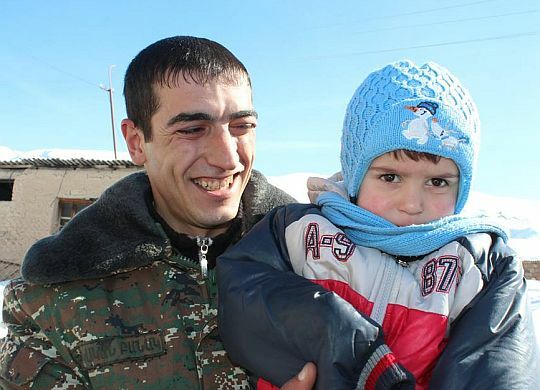 VivaCell-MTS has been a tremendous partner for The Fuller Center’s work in Armenia through the years and has been a particularly important ally as The Fuller Center strives to help families in the village of Khachik on the historically tense border with Azerbaijan. Armenia’s leading telecommunications provider has helped 13 families reconstruct or renovate homes in the village through its partnership with Fuller Center for Housing Armenia. VivaCell-MTS also has provided the village with a water supply, a playground and ambulances among other efforts. Fuller Center Armenia and VIvaCell-MTS recently visited the village to help three families celebrate their new, safe homes. For complete details on this latest project in Khachik, click here.